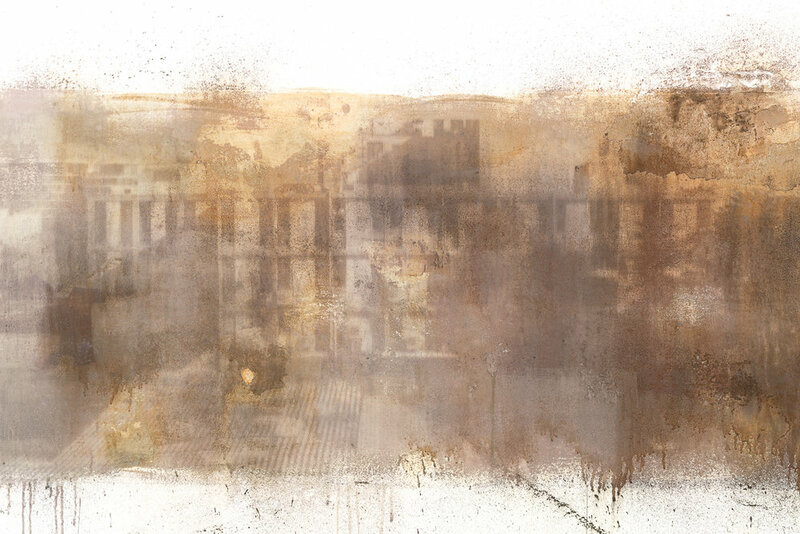 In the exhibition, *Photolytic City, artist Dafna Gazit displays a panoramic view of the urban landscape that can be seen from the roof of the Alfred Institute building. The image is printed directly on the walls of the gallery using photographic techniques and photographic printing techniques of the 19th century. The Alfred Institute is located exactly at the intersection of Tel Aviv and Jaffa. This is not only a geographical point, but also a location with cultural and political significance. Through the photographic process, Gazit brings in the view from the roof and "descends" it into the gallery space located on the ground floor, while ensuring its relative location. In recent years, Gazit has been researching various photographic and printing methods from the 19th century, and her works derive from the encounter with the photographic matter. By using a traditional 19th-century printing technique based on a precise compound of various chemicals, Gazit turns the gallery's walls into a platform for her work. Thus, she is released from the boundaries of the framed photograph, and prints the photograph directly on the walls of the gallery, using natural daylight. Another motive for Gazit's work in this exhibition is the attempt to break through the mechanical limitations of the camera and create an image that contains even more than the eye can see. With digital means, Gazit produces the panoramic image and composes it from a number of photographs created at different times: different hours of day and different seasons. 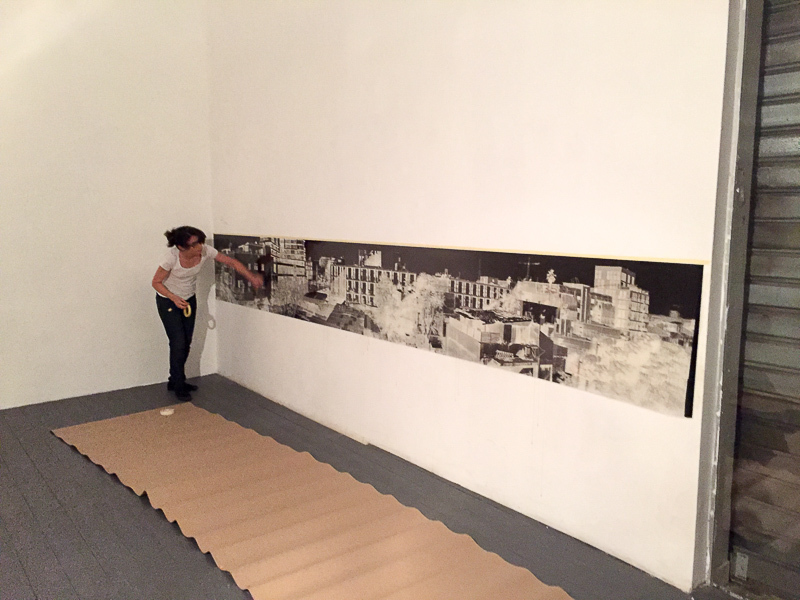 She assembles the photographic strip according to the specific display space, so it is subject to the structure, size and location of the wall. Unlike digital photography today, which is printed in printers, where the "hand of the photographer" is absent, Gazit's photographic practice involves matter, rather than digital media, and literally leaves her mark on the wall. However, at the end of the exhibition, the images will be painted over, returning the gallery's wall to their original state. Gazit's unique work will disappear under layers of color. "The geography of a city preserves what history tells it to remember and erases what it tells it to forget" (from Sharon Rotbard, "White City, Black City"). The process of erasure that characterizes the urban landscape is like a continuous process of death. Each building contains the hidden remains of the building on which it was built. The exhibition, like the city, bears the inevitable process of erasure. * Photolysis is chemical process by which molecules are broken down into smaller units through the absorption of light.